The hockey season is over for the Flames. Finally. I know you've heard that before -- like back in mid-April when Niklas Backstrom and Patrick Sieloff were still with the organization and leading Calgary to victories (victory) -- but this time I mean it. 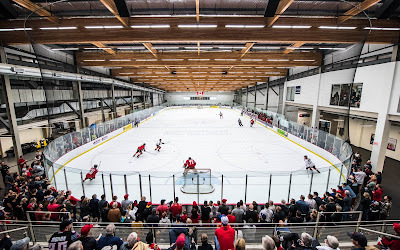 Before a packed house Thursday morning at the Joan Snyder Arena at WinSport, three days on the ice for Flames prospects culminated in the ever-popular scrimmage. That said, it was a lot closer to 'real life' than the previous two days comprised of power skating and skills development practices this was a chance to see these young men with the flaming 'C' on their jersey go head to head in game conditions and see who stood out. The undisputed first star of the scrimmage was 2016 sixth round pick Eetu Tuulola. The rugged 6-foot-3 Finnish right winger had three goals (plus another gem in the exhibition shootout after the first half) in the Reds' 6-1 win, a performance that left both team personnel and fans salivating over his potential. For the 18-year-old, who compares his playing style to Milan Lucic, there were several plays he made that stood out. From his shot, to his non-stop physical play, to his dangling with the puck, to his patience in one particular rush -- holding onto the puck deep in the offensive zone and controlling it 1-versus-4 while everyone else went on a line change,then setting up Hunter Smith in the slot. Heck, he even impressed Brad Treliving, who is typically very reserved when it comes to his July report cards. 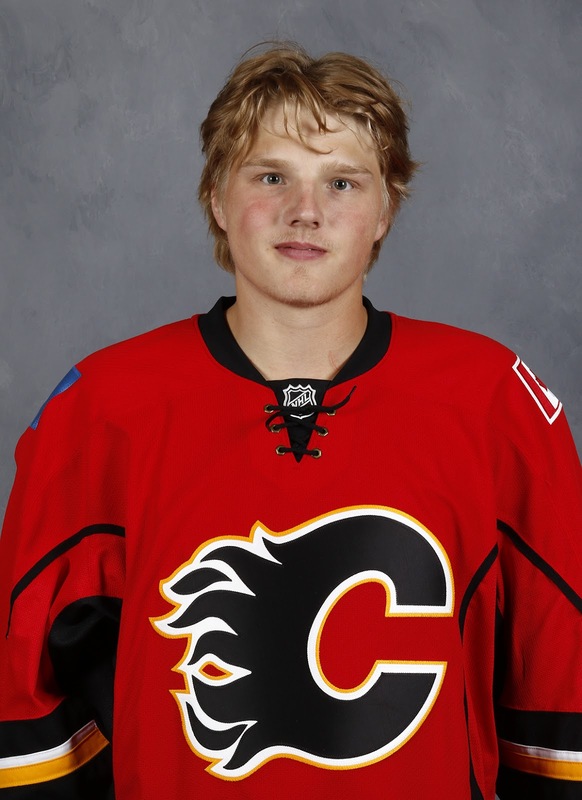 "Our Finns (scouts) were raving about him all year," said Treliving. "One thing with him that stands out is his size, he's a big man. There's still some conditioning that he's got to work on, but there's an interesting package there." "He's also got soft hands," continued the Flames general manager. "He can shoot the puck and he has a little snarl to him. Those are interesting traits." In only his second trip to Canada and first to Calgary, Tuulola was very satisfied with his body of work this week. "I know I played good and I hope the coaches and general manager all see that I'm a good player and they see something for me," he said. Showing off a dangerous shot on his first goal, a slick deke move on a breakaway on his second, he was really feeling it. At one point in the second half, he flipped the puck up on end while behind the net and tried to pick it up with his stick and wrap it inside the goal post lacrosse-style. "It just came into my mind and I tried to score a goal like that. It's a little funny and I almost scored with that so that's real funny," he said with a smile. "I have tried it a few times in games but it's never gone in. All the times the same thing, I almost get it into the goal but some defender or goalie takes it away from me." In addition to a good showing on the ice this camp, Tuulola says he also picked up some cooking skills. "Macaroni, meat and tomato sauce," boasted Tuulola proudly, when asked what he learned to cook. "Maybe I will try another recipe one day." Being a big guy already, he understands the importance of eating healthy. "You have to eat good stuff, not just go to McDonalds," he quipped. Nutrition and cooking was one of the many off-ice classes conducted during the four-day camp intended to give players not just an orientation to the organization but to being a good pro. Media training, social media, how to properly workout, how to live healthy -- all were topics covered. Next comes a decision for the young man, who just turned 18 in March. Does he come over to play in the WHL for 2016-17 or stay at home and play another season in Finland? While Treliving says going back home for Europeans is never a bad idea, he admits this is a player built for this side of the Atlantic. "His game is more suited to the North American game. Talking with him, that's really what he's looking at. He likes the small rink and banging into each other, he thinks that's kind of cool. I think it's going to suit him well if that is, indeed, the way he goes." If Tuulola does end up coming over to play for Everett (WHL), who picked up his rights in the CHL Import Draft, he would then be at Flames rookie camp in September. That would also mean a head-to-head meeting with his countryman Jesse Puljujarvi, fourth overall pick of the Edmonton Oilers and another similarly-built Finnish right-winger. "He's an interesting guy. That combination of size and skill, we could use that a little bit around here," Treliving said. It was a good scrimmage for Oliver Kylington, who was very noticeable and in a good way. This kid's skating continues to wow whenever you see him. Two steps and he's gone -- either direction. In one rush, I felt like I was experiencing a TJ Brodie flashback. Darting over the attacking blueline went Kylington, making a slick move to dance past a defender for a dangerous chance on goal. Thinking he was trapped for sure, as the puck went back up ice the other direction, I looked to see who was covering for Kylington and lo and behold, Kylington was back there already. First in, first back, just like the Flames No. 7. "I felt pretty good. I haven't been on the ice that much but it's always fun to be on the ice and play scrimmages," said Kylington, who was noticeably enjoying himself during the game. While he said he learned a lot during the four days, it's the defensive details he picked up along the way from the many instructors that was most important. "I feel more comfortable with my defensive game. I've been improving a lot of stuff in that part," he said. "Keep working on that and doing what I'm the best at and that's my offensive game." Kylington will head home to Sweden in the next couple days. He will be there briefly before he heads to Spain to train for a couple weeks with his pal Johnny Oduya, who has a place there. While Kylington is a slim guy, his Swedish cohort Rasmus Andersson, drafted seven picks before him in 2015, is built much differently. 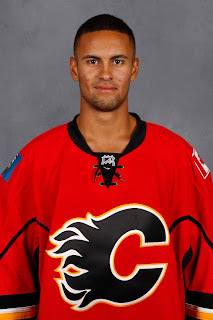 Andersson has a much stockier frame and in the opinion of Treliving, it's too stocky right now. "It's a work in progress. Ras and I are going to have a little chit-chat tomorrow," said Treliving. "They're young guys and we all have kids and sometimes we have to tell and tell again. There are also times to be pros and do the right thing." Andersson is a very good player. With Barrie, he was the OHL's top scoring defenceman last year in both the regular season and the playoffs. That's back-to-back solid offensive seasons for the 19-year-old, who signed his entry-level contract last September in Penticton. However, it's also back-to-back development camps where his conditioning has left something to be desired. "You watch him out on the ice and he's got such a calmness with the puck, he moves it like a pro, but there's more to being a pro than just skating around the ice." This should be a summer in which Andersson turns pro. He's old enough to be able to play in the AHL this season and on the ice, that would be the natural next step for him. I'm certain that will still be the outcome, but they want him to earn it. "One of the things Ras is trying to do is get stronger. But you also have to be in good condition," said Treliving. "We're not in any position right now where we've got alarm bells running off, but it's time, if in fact you want to be a pro this year. There are certain expectations and we'll go through those again, and I really am confident that he'll show up in September looking the way that he should look." This is possibly a situation where he'll end up learning the hard way. The AHL can be an eye-opener for many reasons. "You hope that they get it," said the GM. "We try to warn them, and talk to them and tell them about it, and sometimes the best medicine is going through it. But Ras is a good kid and he wants to be a good player." 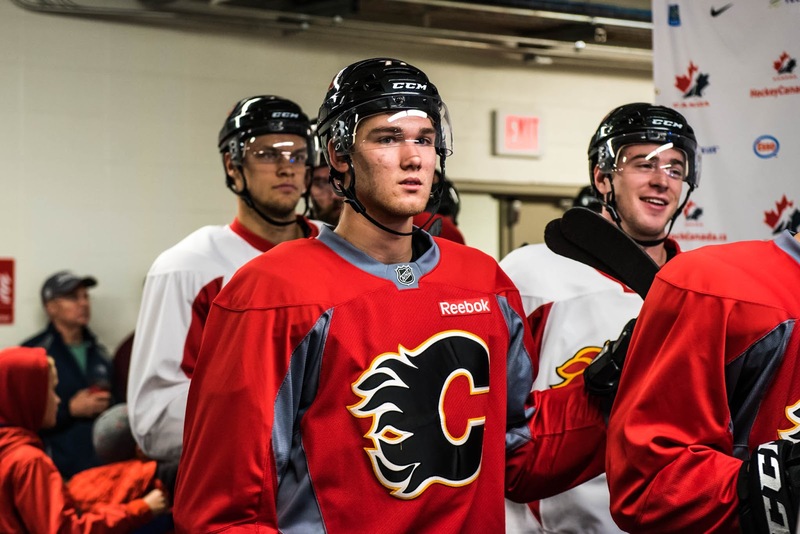 In the scrimmage itself, 2016 first rounder Matthew Tkachuk was mostly quiet. His most noticeable sequence came early in the second half when with a power move, he cut in hard off the wing and clipped his old London Knights teammate Tyler Parsons as he tried to bowl his way across the crease. Shortly after, he was stopped two more times by Parsons on close-in chances. But alas, the lack of production in a Thursday morning scrimmage in July was not enough to make the Flames reconsider signing the sixth overall pick to his entry level contract. Shortly after the game, the paperwork came out and still in his workout gear, the 18-year-old signed on the dotted line. 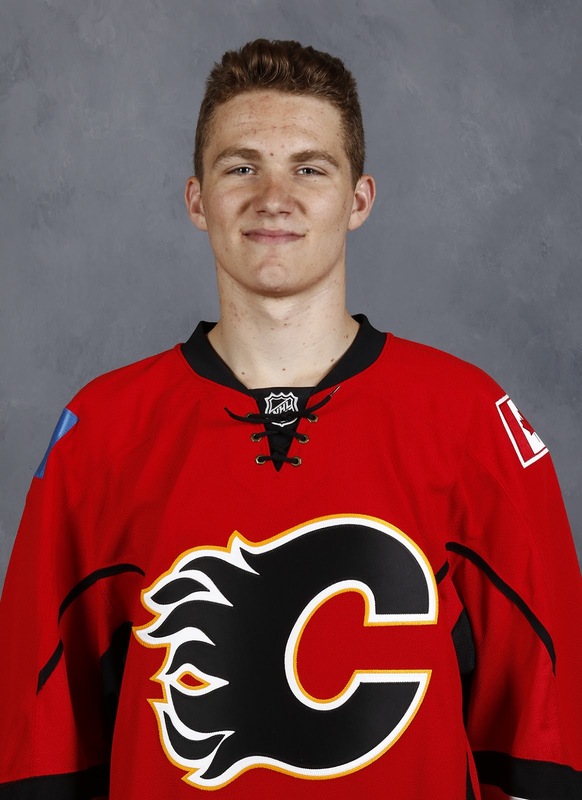 "It's definitely something I've been looking forward to my whole entire life," Tkachuk said. "To sign your first pro contract, it's unbelievable and it's so crazy that it's happened so fast. It's a good step and a step in the right direction, obviously, and it's a step forward and now I focus on training camp." 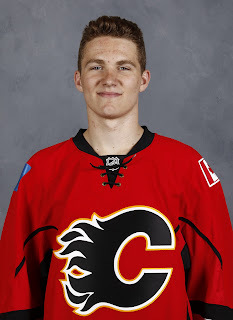 When you talk to Tkachuk, you just get the 'pro' vibe from him. Given his Dad Keith played 19 seasons in the NHL and was still playing up until Matthew was 12 years old, he's been at hockey rinks his whole life so you understand it. "He's a real mature, young guy. He's been around the game. Nothing fazes him, he gets it, he just gets it," said Treliving. "We've had some young guys that have signed contracts before and he's obviously excited but he looked at me and said 'OK, now the real work starts.'" There's a determination to him that made it a no-brainer for the club to issue him the 'regular' jersey number of No. 19 and sign him to his ELC so fast. "He's got a real burning passion to be real good," said Treliving. 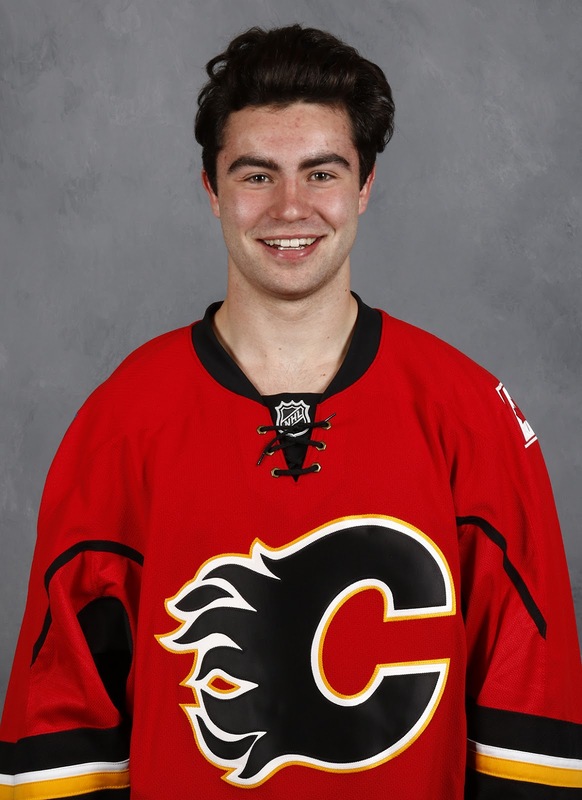 Another player that impressed in the scrimmage was 2016 second rounder Dillon Dube, who scored a goal on a nice 20-foot snapshot. The member of the Kelowna Rockets, who played a few games there for Ryan Huska as a 15-year-old in Huska's final season, is a real treat to watch in that he's very good with the puck on his stick. 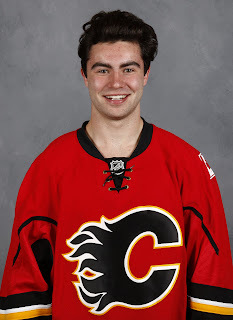 Dube is a real sharp marksmen when it comes to shooting it -- picking corners seemingly at will -- but he's also not afraid to attempt slick moves like kicking the puck up to his stick through his skates, all while at top speed and boring in on a defenceman. "I like to control the play. 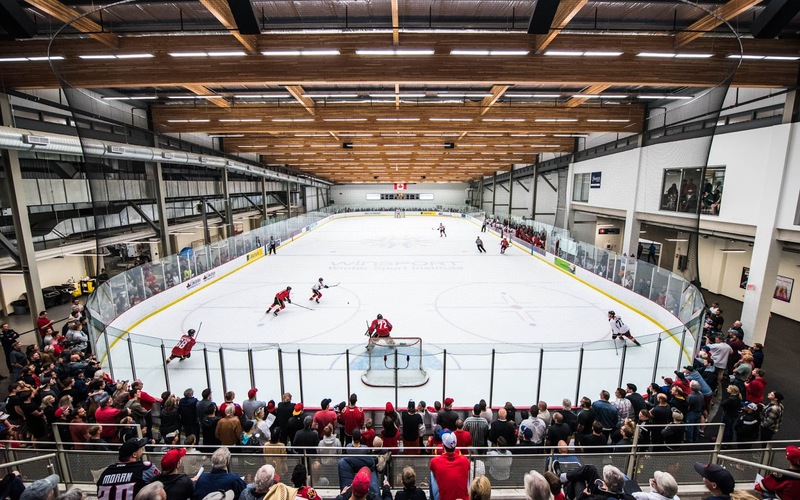 For me, the biggest tool I have is puck possession," said the Cochrane native. "For me, or a smaller guy, I feel like it's tough to get it off me a lot of the times. That's the biggest thing for me is to hang onto the puck." Playing in front of family, the centre leaves development camp satisfied with the impression he left. "The pace was very good," he said. "The first day, there was a lot going on, I got cut in the mouth. There was definitely a lot of battling and going up against those bigger guys, you realize what I need to improve on." Still only 17, Dube has lots of time to build up his strength. 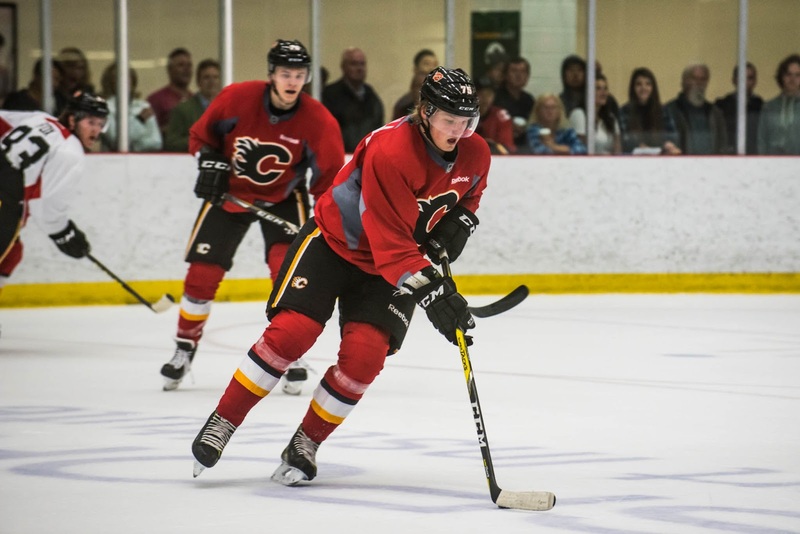 Mark Jankowski came to camp as one of the oldest players and definitely the most experienced when it came to development camp with this one being No. 5. Sure enough, he delivered in showing fans what they wanted to see and that is a very solid player, who has come a long way since he was controversially drafted in the first round in 2012. "I feel like he looks stronger on his skates even from when we had him at the end of the year in Stockton," said Huska. "I'm excited to see what he's going to do when he comes back for main camp because I think he's feeling really good about himself." It's Jankowski's overall package that makes him such an alluring prospect. "I'm really interested to see how things shake out for him because he does have a lot of the tools that you look for in a centreman. He's big, he's got good hockey sense and he can skate." You get the sense he could be one of Huska's key players in Stockton this season, despite it being his rookie season. To refresh your memory, Jankowski had six points (2 goals, 4 assists) in eight games with the Heat after he flew out to California after his season at Providence College came to an end. Showing very well in the scrimmage in playing the second half was another 2016 second rounder in goaltender Tyler Parsons. In 30 minutes of wide open action, he was only beaten once and that was by Tuulola. He was perfect in the ensuing just-for-fun shootout. "I played pretty good. I faced some good shots from these guys. All around, I had a pretty good camp," said the Detroit native. "Testing could have been better but I haven't been able to train that much with the Memorial Cup, I've only had three weeks." In particular, he stoned his London teammate Tkachuk three times in short order so that gave him some bragging rights. "He got a couple past me in practice a few times but it's awesome, playing with a guy in junior then going to an NHL camp and playing with him there," said Parsons. "From him shooting on me on all year, I kind of know where he shoots, but he's a great player. There's a reason why he got drafted in the first round. He's always changing it up, he's a real tricky guy." Parsons looks poised in the net, no matter how much traffic was around him. In one sequence preceded by a tic-tac-toe cross-ice passing play, he did not overcommit to either side and was in position to thwart Mitch Mattsson after he was neatly set up by Andersson. Hunter Smith had a rough game. He's big and he's got lots of enthusiasm but he seems to get too focused on punishing guys. Heck, he clobbered the referee early in the game after missing his target. In a loud collision of two trains meeting, he went down heavily on a check by invitee Justin Doucet. Later, he had quite a physical battle with Kenney Morrison on a shift, which culminated in Smith going hard into the end boards and cutting his face. Big Keegan Kanzig had two breakaways. He didn't score on either, however. His north-south skating seems not bad but one still wonders about his lateral movement. Austin Carroll had a few chances for himself including a couple goal posts. Brandon Hickey is just solid all-round. Not flashy but moves the puck well and is really thickening up too. David Rittich had a disappointing day giving up five goals in his half of hockey. Of course he struggled on this day because it was yesterday that Jordan Sigalet was heaping praise on the Czech goaltender. I saw Siglet post-game and we had a chuckle because that's how it works sometimes -- good old Murphy's Law. "He'll be just fine," said the Flames goalie coach. Stepan Falkovsky - The seventh rounder and the only one of the nine 2016 draft picks not in attendance did not arrive due to visa issues. Treliving added that while the Belarusian played with Ottawa (OHL) last year, he's not sure where he'll end up playing this fall. 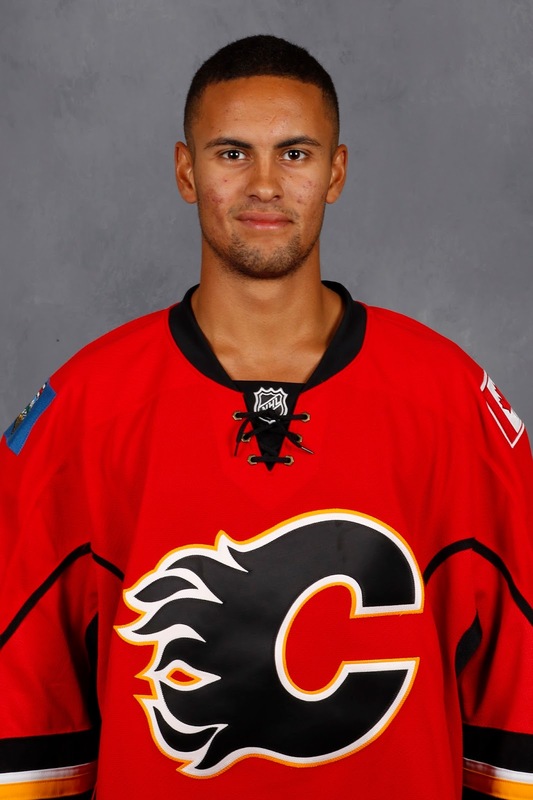 Pavel Karnaukhov - Was not in attendance beause the 2015 fifth rounder has left the Calgary Hitmen to join CSKA in the KHL. "From our standpoint if you had asked me, I would have preferred, obviously, him playing for the Hitmen. He made a decision. He felt he was best served to go back and play with men and from a development standpoint that he'd be better served doing that. You give him your side of the story, ultimately these young guys can make their own decisions. We retain his rights." 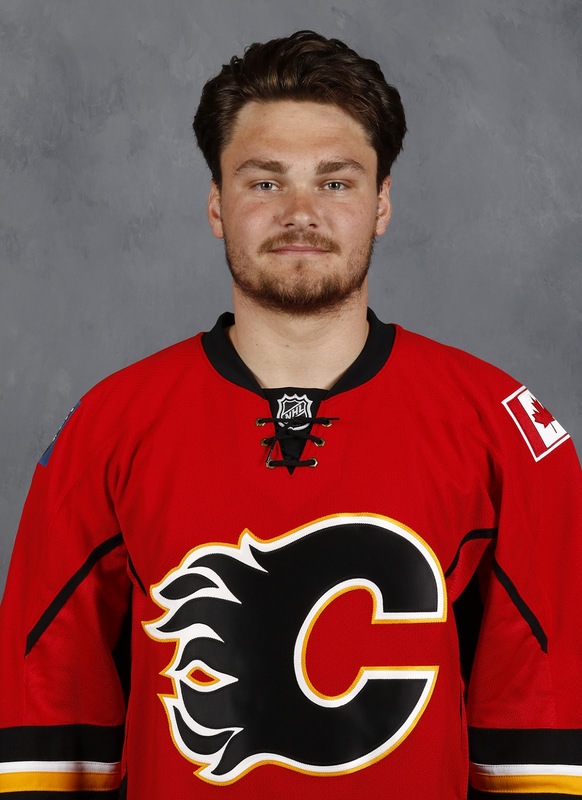 Matt DeBlouw - Drafted in the seventh round of 2012 and recently graduated from Michigan State, he was not in attendance at the camp either and Treliving said earlier in the week that the Flames would not be offering him a contract. He will become a free agent on Aug. 15. How did Bradley Bowles look? He was in the second group of skaters that I did not get the opportunity to watch as closely and when I did get a chance, he was not amongst the guys I was looking for. So, I can't really help you. Sorry! What happened to Gillies? Did he play in the scrimmage? I heard he left with some sort of injury, any update? Thanks! 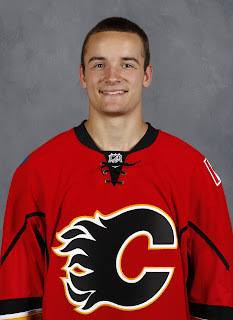 It's nothing, assurance that came both from Ryan Huska the next morning when I talked to him and confirmed by Brad Treliving after the scrimmage. He hadn't been on the ice much and given it was such a long layoff, the team just wanted to take it cautious. For that skills session in which he left early, there were still two other goalies anyway so the team had the luxury of having him rest and that's what they did. Have no concern.